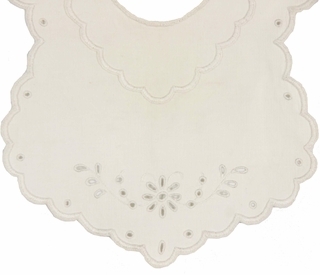 This is a lovely little Edwardian antique white bib made of corded cotton with whitework embroidery and scalloped edges. It is backed with a second cotton layer for absorbency. 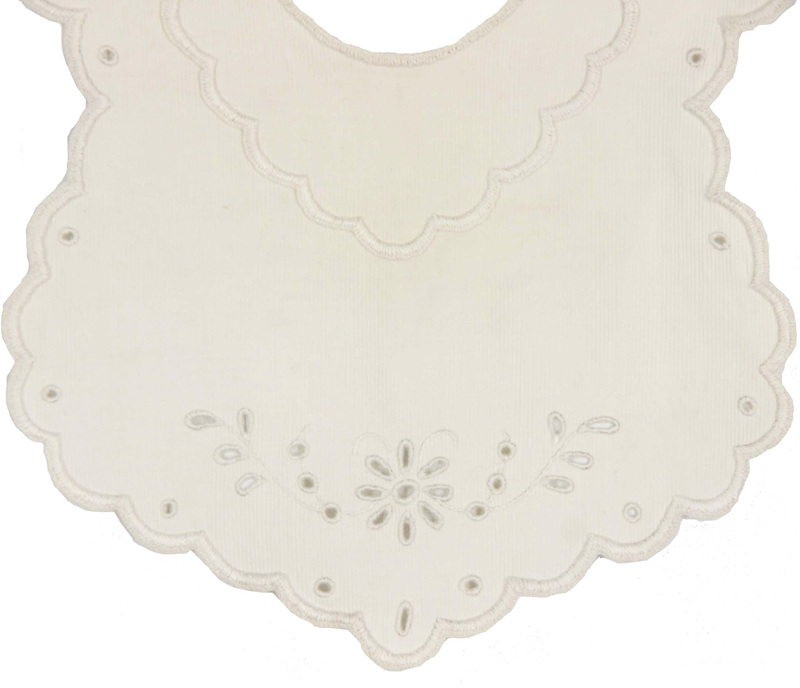 Made in the early 1900s, these "dribble bibs" were meant to protect baby's finer clothing. 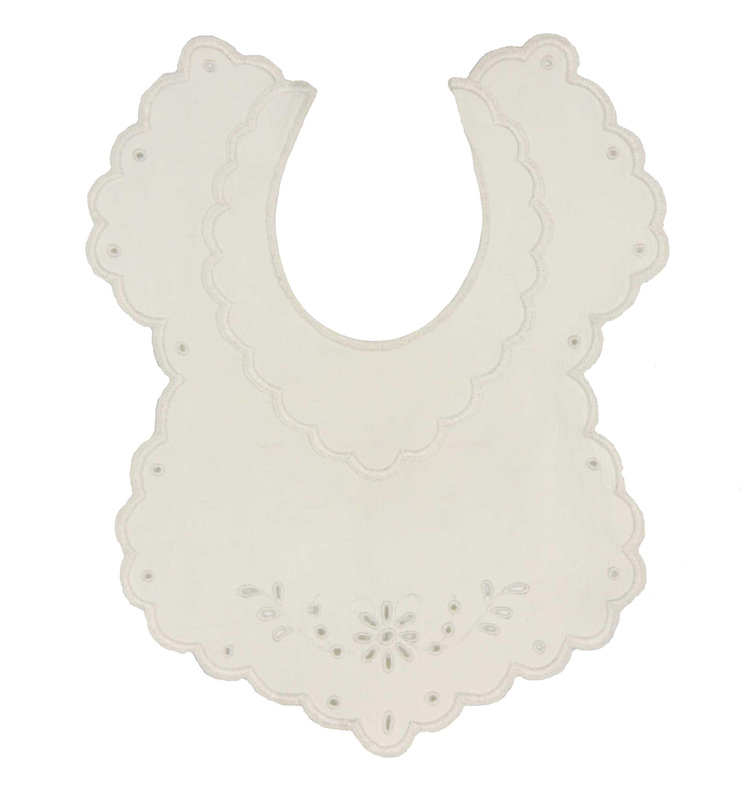 This bib would have originally closed with a baby pin. Silk ribbons will be added for a tie closure upon request. This would be a perfect accessory with any of the heirloom or classic dresses for a christening or other important occasion.